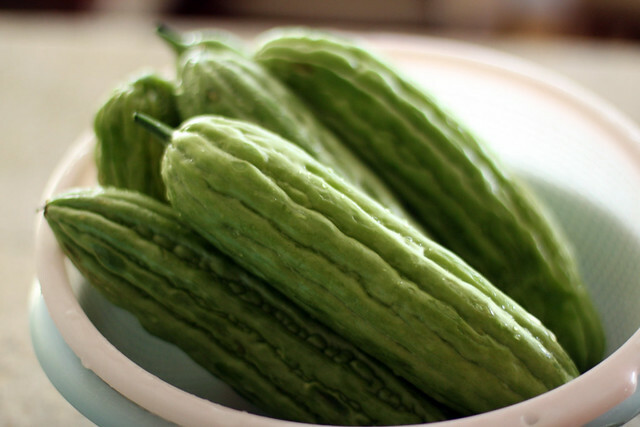 Some people don’t like bitter melon and find it difficult to eat because well..as the name implies…it’s bitter. I actually love the distinct bitter taste and enjoy it prepared in many different ways. 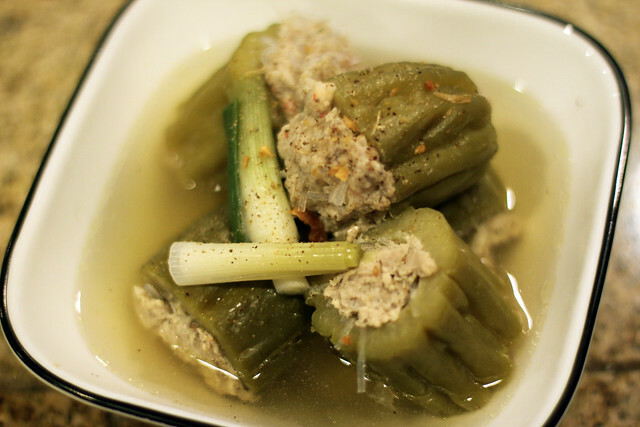 However, the best way to prepare bitter melon is stuffing it with meat and making soup served with salted pork/fish over rice – Vietnamese style. 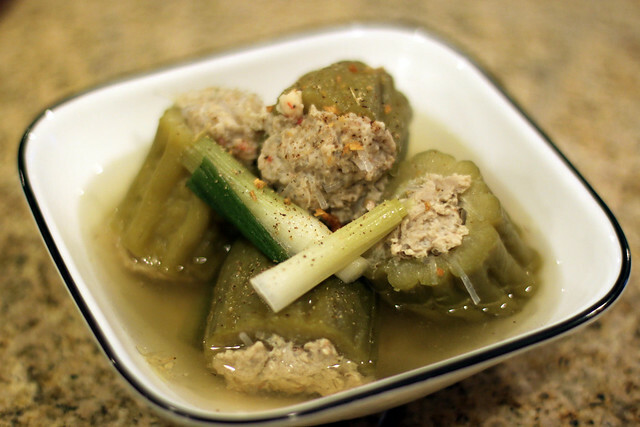 Many Bitter Melon soup recipes use only ground pork, but this mom-inspired home cooked Vietnamese soup recipe, uses a mix of ground pork, fish paste (in San Jose, I buy it at Long Phung. I think they have the best fish paste ever), and shrimp paste. If you never tasted bitter melon you should definitely try it. If you end up not liking it, at least you know it is very nutritious, good for you, and is make your skin look great. Soak bean thread noodles in hot water for 5-10 minutes. Cut into 2 inch pieces. 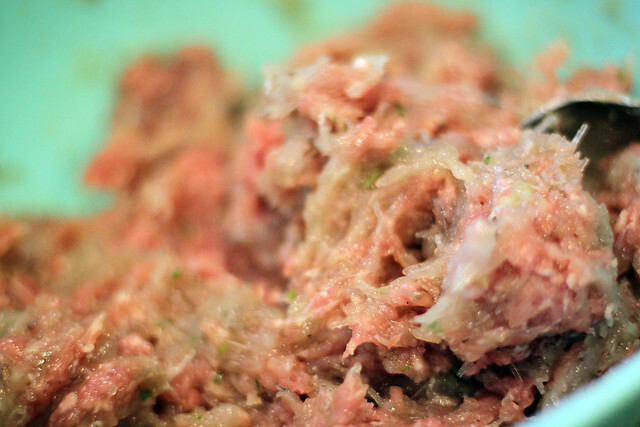 In a food processor, process shrimp to a paste. In a mixing bowl, combine ground pork, fish paste, shrimp paste, bean thread noodles, 1 tablespoon of fish sauce, and 1 teaspoon of pepper. Cover and set aside for about half an hour. Wash bitter melon. 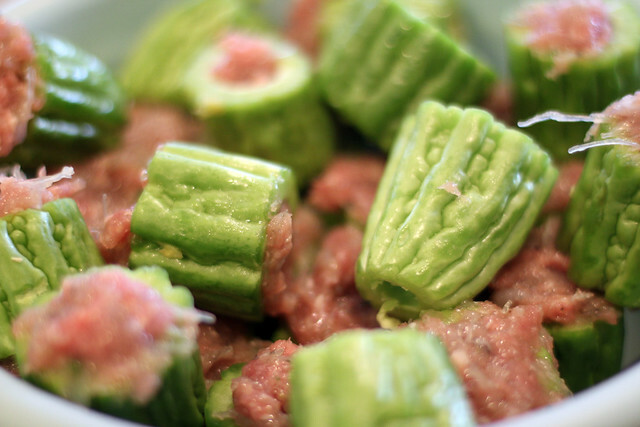 Cut bitter melon to 1 1/2 – 2 inch rings. Using a spoon or a knife, carefully remove the seeds and white spongy interior. 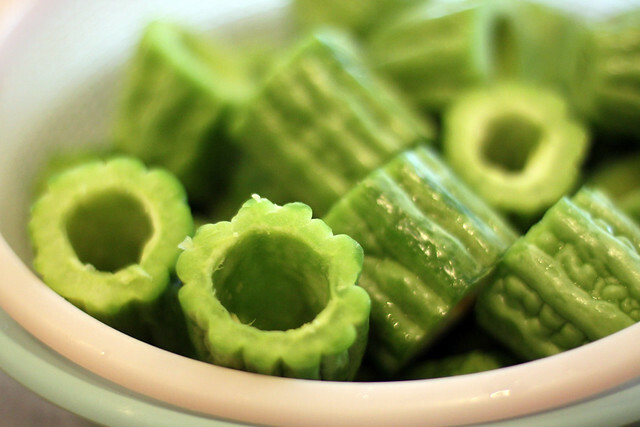 Fill each bitter melon ring with stuffing. 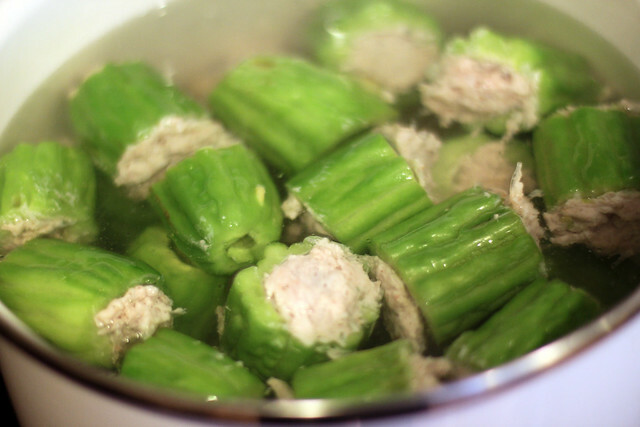 When water is boiling, add the stuffed bitter melon rings into the pool of boiling water. 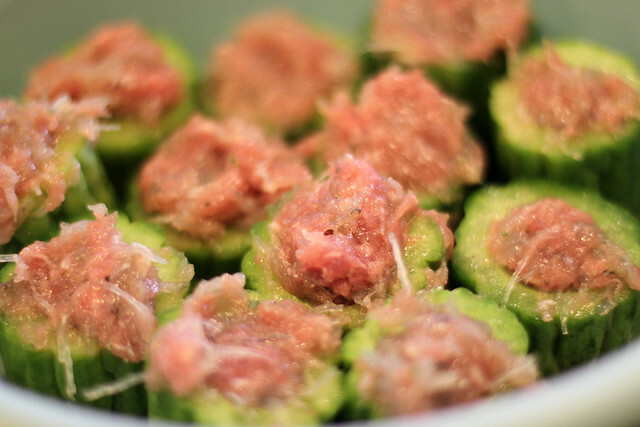 Form little balls with any left over stuffing and add to water. Reduce heat and allow stuffed bitter melon to simmer for 20-30 minutes or until tender. Put soup in a bowl, top with fried garlic and pepper and serve over rice.